OPELIKA, Ala. – A jury on Friday found Alabama House Speaker Mike Hubbard guilty on 12 counts of public corruption agreeing with prosecutors’ assertions that the Republican used the power and prestige of his political offices to benefit his companies and clients. The panel acquitted Hubbard on the remaining of the 23 charges he was facing. He talked briefly with his attorneys before a deputy escorted him out of the courtroom. The verdict came after weeks of mostly reluctant testimony from Hubbard’s inner circle and a roster of the state’s business and political elite, including Alabama Gov. Robert Bentley and former Gov. Bob Riley. Hubbard, 54, has described Riley as a father figure and political mentor, and named his younger son after him. Prosecutors accused Hubbard of using his political offices, as speaker and as former chairman of the Alabama Republican Party, to try to obtain $2.3 million in work and investments. The charges included that he directed GOP campaign work to his printing company; solicited investments and help to find employment from lobbyists and company executives; and used the power of his office to benefit his clients through legislative action or lobbying the governor’s office. Hubbard argued the transactions were legal and within the bounds of the state ethics law and its exemptions for normal business dealings and friendships. His defense noted that the transactions involved people who were long-time friends. Prosecutors and defense lawyers gave jurors dueling portraits of Hubbard, a man who helped guide Republican’s rise to prominence in Alabama. Prosecutor Matt Hart depicted Hubbard as a conniving politician who seized at opportunities to make money through his political party work and elected office. The trial accused Hubbard of violating a state ethics law he once championed after leading Republicans’ rise to legislative power. Hubbard was the general of Republicans’ 2010 offensive to win control of the Alabama Legislature for the first time since Reconstruction. After the victory, Hubbard was elected speaker and the new GOP-controlled legislature approved revisions to the state’s ethics law in a special session called by Riley. Hubbard took the witness stand in his own defense at the trial. 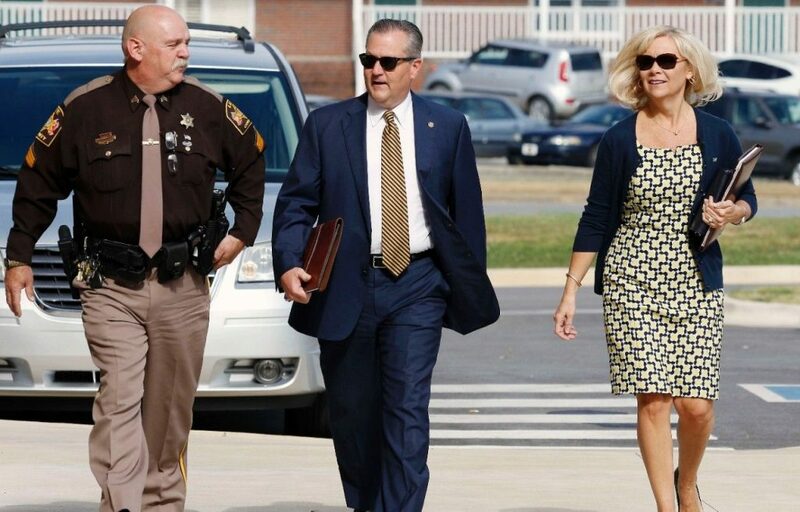 Hubbard faces up to 20 years in prison for each ethics count. Sentencing is set for July 28.